APN News & Media has released the results for its 12 months of trading ending December 31, 2015. APN News & Media Limited has released its results for the 12 months ending 31 December 2015. Revenue from continuing operations was up one per cent on the corresponding 2014 period to $850.0m. EBITDA from continuing operations and before exceptional items was up one per cent to $166.2m. APN’s group cost savings target of $25m announced in August 2015 was exceeded with some of the savings reinvested back into the business to support the growth of digital and diversified revenue streams. APN delivered strong operating cashflows of $78.2m. This has been driven by cash conversion even with the significant investment in transformation and revenue diversification programs. Leverage at 31 December was 2.74 times down from 3.1 times immediately following the acquisition of 96FM in January last year. In line with APN’s dividend policy, a dividend will not be paid at this time. APN Chairman Peter Cosgrove said: “APN achieved significant progress and transformation in 2015. Operating in a competitive and tough media market, APN delivered revenue and EBITDA growth, strong cashflows and exceeded its 2015 cost savings program. In divisional results, the Australian Radio Network was again the star performer with revenue up 22% to $221m. Adshel revenue was up 8%, but Australian Regional Media was down 7% to $188.5m and NZME was down 3% to $402m. APN’s chief executive Ciaran Davis said: “In 2015, APN’s businesses continued to integrate, digitise and diversify. Operationally, we have cemented our positions as leaders in our respective fields in today’s fragmented and competitive media markets. 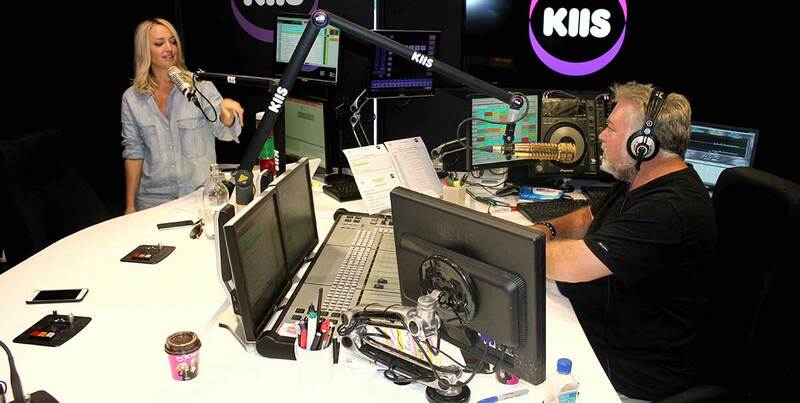 In 2015, the Australian Radio Network (ARN) maintained its position as Australia’s #1 Metropolitan Radio Network, enhanced by the successful integration of 96FM into the KIIS brand following the acquisition of the business in January. 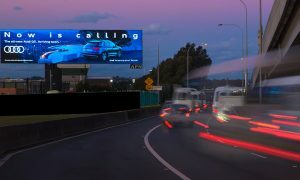 In June, Adshel digitised 35 of its key advertising panels in Auckland CBD and in October 2015, it launched Adshel LIVE, the world’s first national digital street furniture network in Australia with more than 270 digital panels. The digitisation of these panels has driven significant revenue gains for the Adshel business. Today, Adshel has announced the expansion of its digital asset base to over 800 screens across Australia and New Zealand from 2016. APN re‐focused its Hong Kong business on its Cody out‐of‐home operations. After a transition period, Cody is re‐building and securing a number of new contracts. In August 2015, ARM launched Australia’s first regional digital subscription package. After a better than expected launch at the Toowoomba Chronicle, ARM fast‐tracked its digital subscription rollout to all of its daily mastheads in October. Digital subscription growth is ahead of plan with conversion rates from trial to regular subscribers at 86 per cent. NZME has delivered on the transformation goals set out in the November 2014 forecast to market. The business integration process is ongoing. APN remains determined to ensure NZME is structured and funded correctly to capitalise further on changes it is making and the unique position it holds in New Zealand media. However, there is a need to prioritise APN’s strategic investments and focus on assets that will deliver the greatest shareholder return. As a result, APN is actively considering its options for the business and will provide a further update to shareholders at the AGM in May. 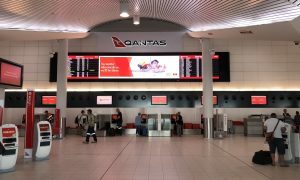 Despite the strong repositioning delivered through integration, the advertising market environment is not currently conducive to an IPO and APN will not pursue this approach at this time. Positioning APN for the future Davis said: “In Australia, radio and outdoor were two of the biggest growth sectors in media in 2015 with industry growth of five per cent and 17 per cent respectively. “Within those sectors, both ARN and Adshel are very strong assets with positive outlooks and momentum. “Investments will continue to be made ensuring we capitalise on the future growth potential for both of these businesses. “ARN’s focus to deliver the best content and secure ongoing ratings success has been the driver of its growth over the past few years. Increasingly it will look to grow its younger audience base, delivering content across multiple platforms including mobile, video and social, utilising new and existing assets such as iHeartRadio, The Edge and Emotive. “Adshel will continue to make investments monetising the roll out of its digital network which we know will drive further industry growth in the outdoor sector. 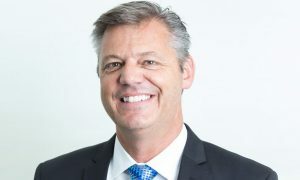 Davis provided a strategic update on ARM: “ARM is operating in a challenging environment with all publishers facing the same tough headwinds, however, there continue to be positive results delivered within the business. Despite having reduced the cost base of ARM by $40m over the past three years, the business has maintained stable audiences and grown its digital footprint through delivery of greater digital content. Digital subscriptions and the development of other new revenue streams are helping position ARM for the future. The mixed conditions experienced in 2015 have continued into 2016. The Australian radio market was up five per cent in January and ARN continues to take share. Forward bookings indicate similar conditions for the remainder of Q1. Adshel LIVE continues to drive significant momentum, and Adshel revenues in January were ahead of another strong market result. Trading conditions in regional Queensland are consistent with those experienced in the second half of 2015. NZME is trading in line with a weak advertising market. Cost savings from both 2015 and new initiatives are partially offsetting these declines.